The daylong event – which is one of the most successful fundraising efforts sponsored by CBCF throughout the year– will tee off with a shotgun start at 12:30 p.m. at the West Caldwell golf course. Registration and breakfast will begin at 10 a.m. A $1 Million Hole-In-One Shootout and raffle drawing for a 2015 Ford Mustang convertible will also take place. The festivities will conclude with a dinner reception where Dr. Larry Norton, the Foundation’s Scientific Advisor, will address guests. CBCF’s fundraising efforts support breast cancer research efforts under the direction of Dr. Norton, who is the Deputy Physician-in-Chief for Breast Cancer Programs and the Medical Director of the Evelyn H. Lauder Breast Center at Memorial Sloan-Kettering Cancer Center, at Sloan-Kettering and other national and international research facilities. 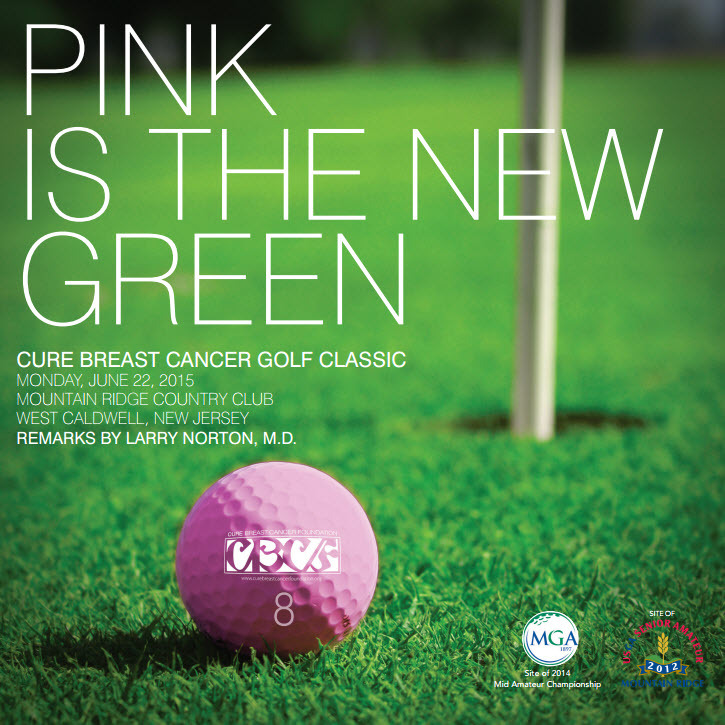 Those interested in participating in the 8th Annual Golf Classic can call (973) 471-CBCF (2223) or email register@curebreastcancerfoundation.org. CBCF has raised in excess of $5 million to assist the dedicated team of physicians and scientists at Memorial Sloan-Kettering Cancer Center in New York and New Jersey and their national and international collaborators. Fully 100% of the net fundraising proceeds received by the foundation are donated towards research projects coordinated by Dr. Norton who is leading the fight against breast cancer with groundbreaking work and have discovered that cancer cell mobility and the interactions between the cancer cell and its microscopic environment are the key pathways to understanding and eventually eradicating breast cancer.